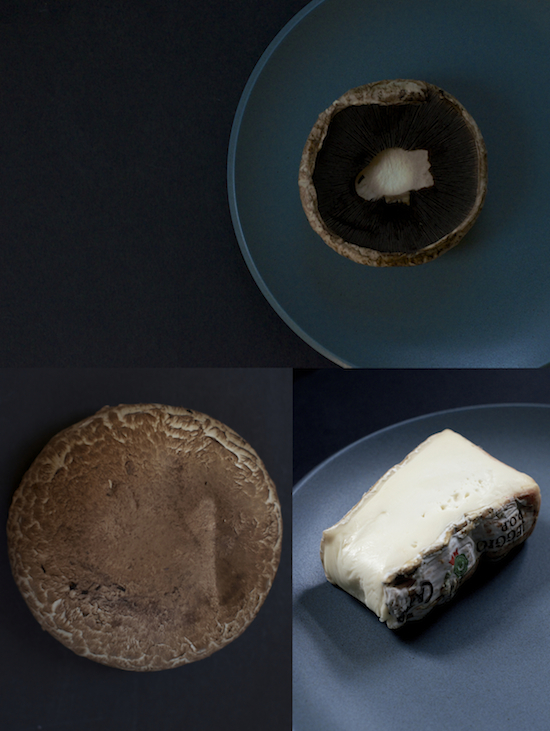 This is mostly a photographic journey through mushrooms and cheese that I find to be fascinating subjects. Not long ago, I saw someone on social media pleading, in no specific direction, to bring to a halt this stinky cheese trend. My guys too turn their noses up at Tallegio, Bleu Cheese and other stinky cheese varieties. I, on the other hand, could care less, for tarragon. Its liquorish tones remind me of Anise-y Arak, which I abhor, well that might be too strong of a word. However Arak's Greek equivalent, Ouzo, worked beautifully in this Artichoke Bottoms Filled With Carp 'Meatballs' And Fennel Sauce dish. There are so many that posted this particular recipe from Ottolenghi's Plenty, that I wished to link to some highlights I liked, instead of reposting the recipe here. 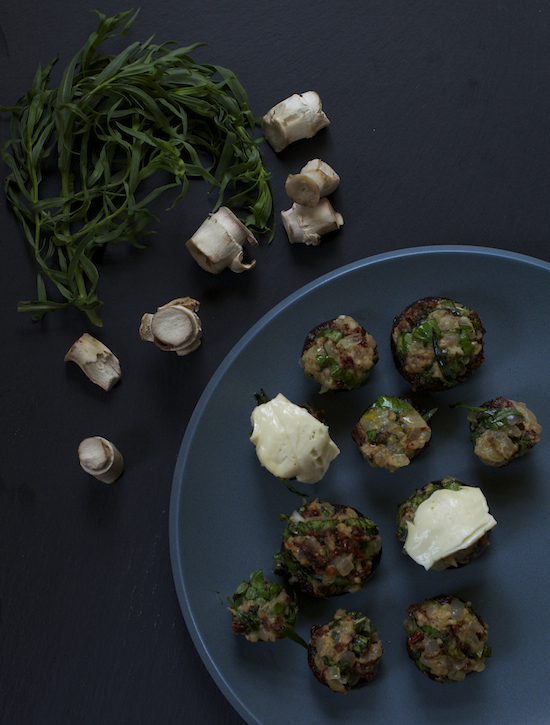 It's a perfect recipe for party hors d'oeuvres if using baby bella instead of portabellas. I particularly liked how 'the arugula files' captured the final dish here. It's sunny and optimistic. She was true to the recipe just as 'Vintage Kitchen Notes' was here. I love Paula's description of the mushrooms as "dark and earthy." So true. I usually stuff mushrooms with a carrot-less mirepoix, garlic and lightly toasted, day or two old baguette, croutons and some herbs. I toned down the sun dried tomatoes in Ottolenghi's recipe quite a bit from two cups to only eight individual sun dried tomatoes. Finally, I like the fennel bulb anise-y flavor that 'The Guardian' brought into the dish here, in place of the tarragon, which as you may already know, I don't much care for. Fennel on the other hand I love. Sliced raw, simply dressed with olive oil, lemon and a touch of salt or sautéed or grilled, which draws out some sweetness out of the fennel bulb. Loved the second snapshot Shulie! Such an interesting post with gorgeous pics Shulie, as usual. 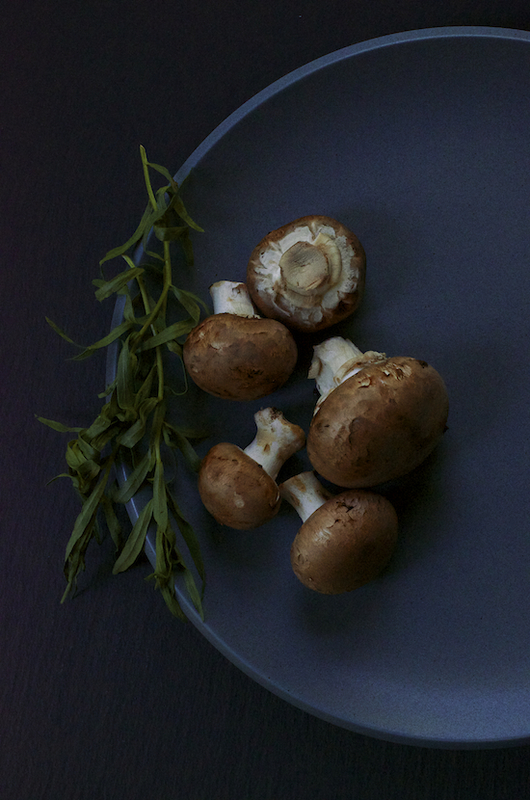 Mushrooms are a hard ingredient to photograph! Thanks for the shout out! I made this recipe when I first started the blog, and I´m surprised the pics are bearable, barely, ja. 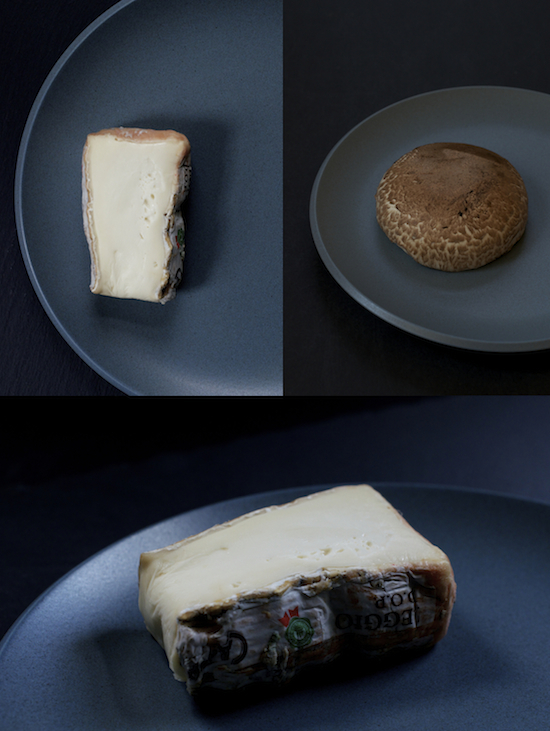 Taleggio is one of my favorite cheeses, by far, and I think adding bread crumbs to a mushroom filling is genius! Beautiful Shulie!! I adore mushrooms. Add cheese and what's not to love?? 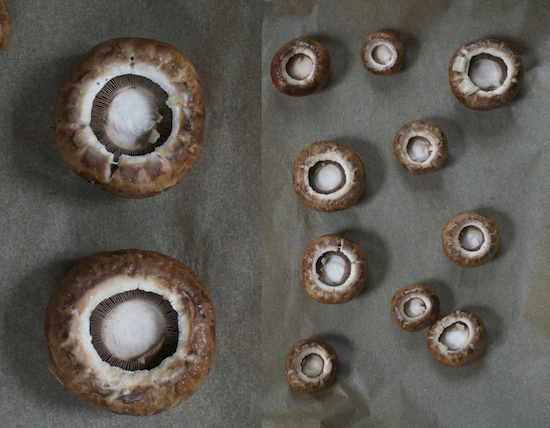 I love stuffed mushrooms, tempting photos! This is one of my favorite cheeses. Your stuffed portobello mushrooms must taste absolutely scrumptious! The second picture is stunning. Loved your write up and pictures. Nice photos and I to agree that the second is the photo that stands out the most.